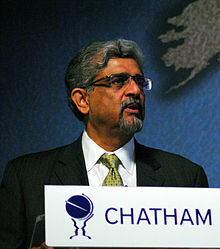 Malik was Director of the Human Development Report to the United Nations Development Programme, from 2011 until 2014. Before that he was assigned Special Advisor to UNDP Africa, after having completed his assignment as UN Resident Coordinator /UNDP Resident Representative in China in March 2010, a position he has held for 7 years. Since joining the United Nations in 1976 Malik has particularly been active in the reform process of the United Nations, management of politically highly sensitive negotiations, environmental protection, and as an advocate of human rights, gender equality and civil society development. On this note Malik finds it crucial to look for ways how we can best balance the economy, society and environment. He has also served as the Director at UNDP’s Evaluation Office (1997–2003), and as the United Nations Representative in Uzbekistan (1993–1997), where he negotiated the release of 8 Uzbek sailors captured by the northern Afghan Alliance in 1994 and provided support to the peacekeeping operation in nearby Tajikistan the same year. During his appointment as UN Resident Coordinator/UNDP Resident Representative in China coordinating the efforts of 22 UN resident agencies, it was one of Malik’s major ambitions to make progress towards reshaping the UN to speak and deliver as one; to which he also contributed with the launch of the Development Effectiveness Report in 2004, positioning the UN as a leading player and contributor in the global debate on development and aid effectiveness. Apart from working in Asia and the Pacific region Malik has represented the United Nations in Africa, Latin America and the Caribbean.